For more great recommendations, read our list of the best TV shows to binge on Hulu. Even with the gluttony of new television, we find ourselves going back to the classics that defined a genre. For anyone watching sitcoms around the turn of the millennium that show was Will & Grace, which unlike fellow NBC shows like Seinfeld and 30 Rock, and has been all but absence on streaming platforms. Not anymore. Get ready to binge the hysteria all over again, nostalgic comedy buffs. In anticipation of Will & Grace's Fall 2017 revival, all eight seasons of the original series will debut exclusively on Hulu, as well as the NBC app. That's all 194 episodes, available to view on-demand starting Thursday, September 21. Over eight seasons, running from 1998 to 2006, Will & Grace dominated the ratings, earned 83 Emmy Awards, and ushered in a style of hyperactive three-camera sitcom comedy while normalizing gay lifestyle for millions of Americans. 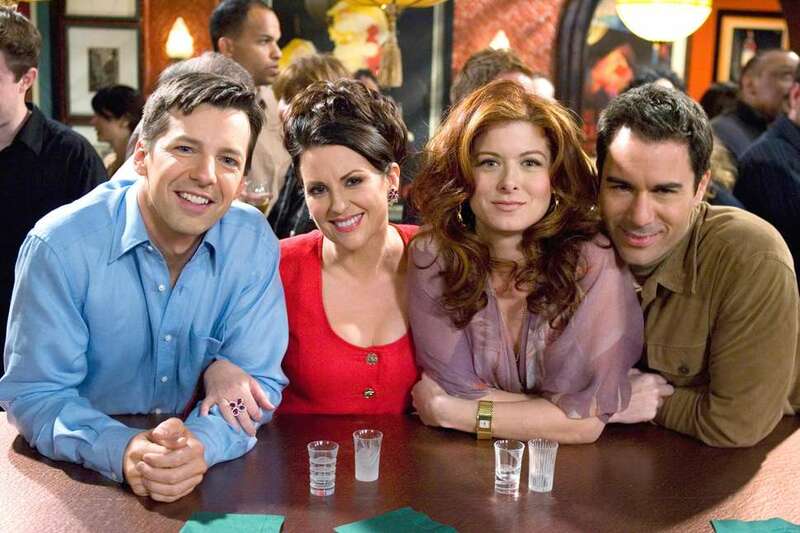 Whether viewers knew it or not, Will & Grace was making them laugh and making them think. The series returns to TV at another contentious time in social conversation, ready to stir the pot with original cast members Eric McCormack, Debra Messing, Megan Mullally, Sean Hayes all in tow. Here's the bonus: Each new episode airs on NBC (starting September 28) will immediately appear on Hulu and the NBC app for the streaming-only audience to take in. "As we gear up for the launch of the upcoming season premiere, I can’t think of a better way to reintroduce Will & Grace to the cultural zeitgeist than by giving audiences the opportunity to watch this historic and hilarious series wherever and whenever they want,” said NBC Entertainment Chairman Robert Greenblatt in a press statement. “With its witty comebacks, pop-culture references and social commentary, Will & Grace is one of the most binge-able comedies in television history, and I am certain fans both old and new will jump on this opportunity to devour it." “There’s no question that Will & Grace has resonated with audiences since the series made its broadcast premiere. To be able to bring such an iconic show into the streaming universe for the first time ever is an opportunity we couldn’t pass up,” said Joel Stillerman, Chief Content Officer, Hulu. “This landmark deal will allow fans to re-watch their favorite moments ahead of the series premiere, as well as bring Will & Grace and its cast of characters to a whole new audience. The Will & Grace revival kicks off with a 16-episode run and has already been picked up for a second season with 13 additional episodes. Get binging. Wes Rendar loves Will and loves Grace.